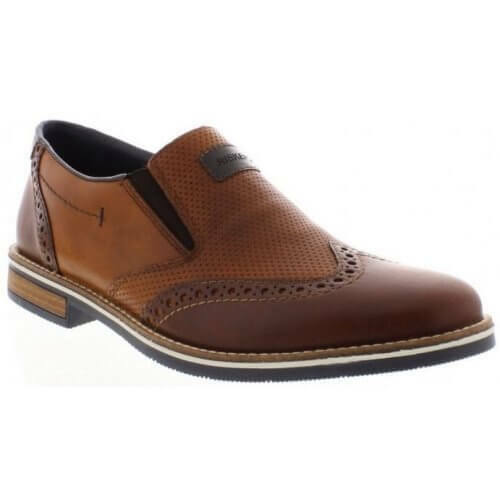 Rieker Loakes 13560 is a mens shoe. It features a soft leather upper. The slip on style and elasticated gussets allow for easy on and off, while the soft insole provides added comfort. The brogue and stitch detailing add a sense of style to this everyday shoe. Slide into comfort with Rieker Loakes 13560.